Composting takes place naturally when leaves fall from the trees to the ground. Microbes, minute living creatures in the soil, break down the leaves and organic matter. They produce humus which is rich in the nutrients that plants need for healthy growth. The home gardener can take advantage of this natural process by creating their own compost for use in the garden. 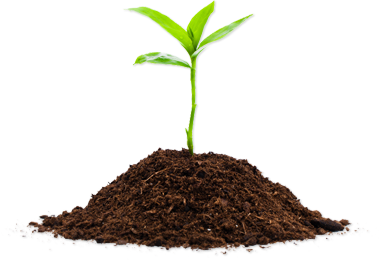 Composting has many benefits for the gardener as well as for the environment. Disposes of home and garden waste naturally instead of filling the landfills. Helps to improve soil structure. Helps the soil hold moisture and improves air circulation. What materials do I need to compost? Generally two types of materials are needed. Dry or brown materials provide the microbes in the soil with the energy they need to break down organic waste. Fresh or green materials provide nitrogen for decomposition. 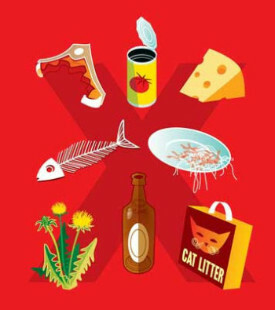 What materials should I NOT compost? Step 1: Choose a large container to hold the compost. You can help your parents build one or ask them to buy premade ones from your local garden centers. Place your container in a location that is near a water source, out of the way, and easy to access. Step 2: Layer your compost materials making sure to get an equal mix of green and brown materials. 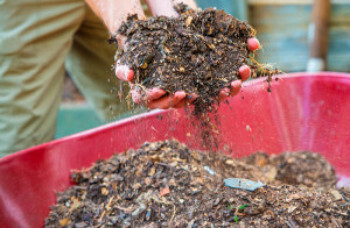 Your compost will take longer to break down if a large amount of brown materials are added. Alternately, if you add an excess of green materials your compost will be slimy. Continue adding alternating layers of brown and green materials until your container is full. Wet each layer as you add it but do not drench the pile. Step 3: Turn your pile. Wet but do not over water any excessively dry materials. Step 4: Make use of your compost for a beautiful garden.